European local governments are increasingly recognising the important role they can play in driving the market for sustainably produced timber through demanding that wood products come from sustainably managed forests, be they tropical or European. Preserving forests means considering all aspects, such as ensuring the forests’ benefits are equitably distributed amongst the local populations. 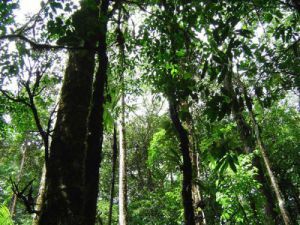 Instead of threatening the remaining tropical forests, demanding sustainably produced tropical timber therefore helps to maintain them, as it transforms forests into a valuable entity and discourages illegal deforestation. Cornwall County Council was the first local authority to join this initiative, which will be officially launched in November. Cornwall has a commendable timber procurement policy that requires council officers to take sustainability considerations into account when procuring. One key objective of the council's commitment is the purchasing of legal and sustainably sourced timber and wood products, which are independently verified when possible. Cornwall’s policies can be found, along with other interesting publications, in our Resource Database on Sustainable Procurement.